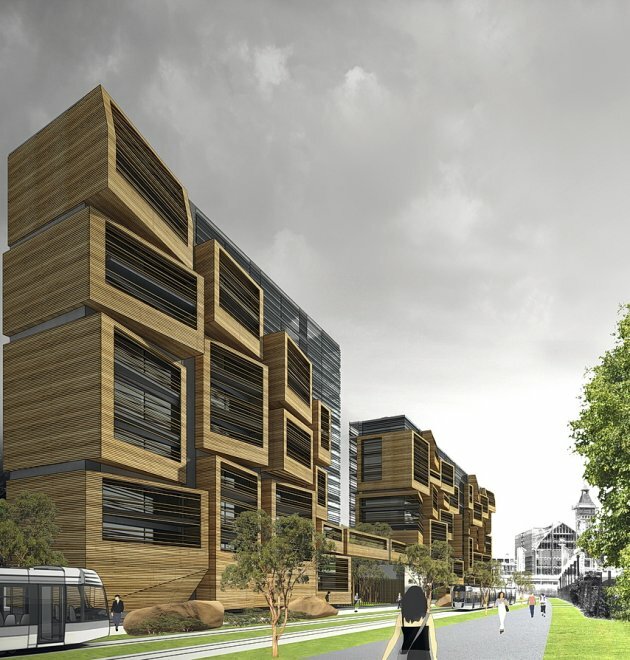 OFIS Arhitekti, a Ljubljana, Slovenia based architectural firm, have won a competition for the design of new student apartment studios on Route des Petits Ponts in Paris, France. 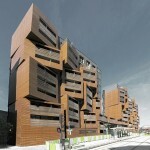 The project involves a dormitory with 180 studios on the site of the Stade de Ladoumègue in Paris in 19th district. 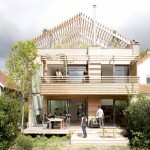 The plot of the building is part of urban development done by Reichen & Robert architects. 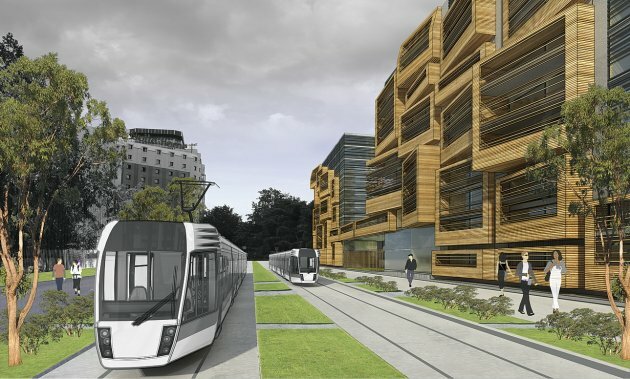 By early 2012, the Paris tram will pass by the site, and the goal is to complete the project before the opening in 2011. Another project goal is to achieve a building consumption with very little power, joining the desire of the city of Paris through its “climate plan”. The major objectives of the project is to design a home to accommodate students able to offer them a healthy environment for study, learn, have fun, meet … The building must be “energy efficient” and be built at the end of 2010. To achieve these objectives with energy performance and construction time table plan the focus was to design a simple, well insulated and ventilated object which will function at best during all seasons. 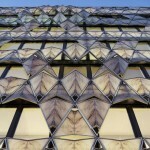 Visit the websit of OFIS Arhitekti – here.